I rarely do reviews but I cant let this pass. I dropped off yesterday, July 11, 2017 my Toyota Sienna SE, which is only 1 year old with 24,000km on it for a service and also a complaint regarding the knocking noise in the front suspension when going thru bumps slowly(especially small bumps), and a clunking noise while braking lightly to a stop. The first mechanic drove test my van and Im in the passenger seat. I was telling him how the noise can be heard but he is not listening. I tried to drive the van and him on the passenger seat, my complaints can be heard but he said he cant hear it and he was in a rush to get back to dealership because he was saying that I just talk to a representative regarding my complaint. I then asked the Toyota Service rep to ride with me but he also doesnt hear what I am talking about. I agreed to leave the van in this dealership until the next day hoping they will hear the noise. I needed the van for work but I wasnt offered a loaner car so I have to borrow my in-laws car. Today, July 12, 2017, I dropped by to pick up the van. 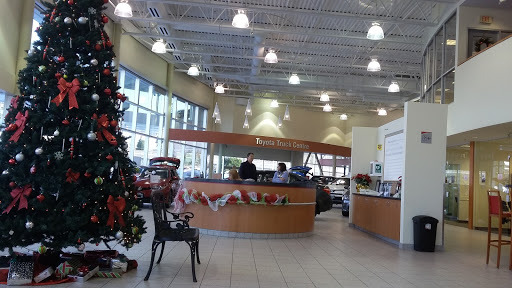 Toyota Service rep told me they cant find the noise and they checked everything even the brake pad and rotors, and also the struts because of my complaint regarding the noise thru the bumps. Now, my complaint against them. I have a dashcam which turns on everytime the van was switch on. So I watched all the recordings when I got home. I saw that the van went inside the shop, then left the shop, drove thru the exit of the automall then turned left, up 154 st, right on 104ave, right on 152st, another right on 108/ then back to the dealership. Based on the report, mechanic checked the braking and theres no sound, and went thru bumps(slowly), but no fault found. Based on the video alone, I cannot say he did the braking how I said it should be done so no comment on that, but went thru bumps??? There were NO bumps on that road to check the knocking sound on the front suspension. I specifically said small sharp bumps(speed bumps). I have all the videos to prove what I am saying. The knocking sound during braking was even heard on the dashcam. The front suspension knocking sound is very obvious but says its normal. My background: I drive brand new cars everyday, and I do it for a living. I know if what Im hearing is normal or not. In the case of my 1 year old Sienna, it has a problem and I am 100% sure of that. One more thing though, what are the chances they put back the lug nuts after removing the wheels to check the brakes and whatever is behind it, the same order before they took it off? 5 lug nuts, one of them is a lock. Before I brought it to them, I changed all the position of the lug nuts the same way as the others. When I got the van today, it was the same order as I placed them. (Unless the mechanic is running the same thinking as me that is why he figured to put it back the same way). That is why I am wondering if they did took off my wheels to check everything. Ive taken my echo to them before for alignment. The mechanic was excellent and gave me much useful information from his inspection. Took my 4runner in for an axle seal replacement. I knew it was the axle seal from the smell of the gear oil. This seal had failed after 6000 km, but was installed by another shop. I decided to spend the big bucks and get the dealer to do it properly. I had to pay my $75 for inspection, left my vehicle, and was phoned at work the next day. I was told that it was not the axle seal, but the brake seal. I told the service manager that I was sure it was not, but he insisted that he had 2 technicians look at it and they both agreed it was a brake seal. So that should have been good news. I get quoted over $1000 for replacing 4 brake shoes and two cylinders (drums were brand new). I said no. I bought the shoes and cylinders for about $100 and then went to do the job myself. Getting the drum off, I could smell gear oil, and when I sprayed it with water, it clearly beaded - indicating oil not break fluid, also no sign of brake fluid under rubber cups. So frustrating to have wasted my $75 and time taking it to them and being in the exact same place! They would have replaced my brakes at considerable expense, I would have found out sooner or later that the axle seal still leaked, and would have had to get the seal job done + a second brake job!. Not to mention compromised braking. Surely I would have been told that the axle seal had failed since the time they did the brake job. I complained. The top service manager was apologetic and reasonable. I was refunded my inspection fee since it was incorrect. The manager at the desk gave me the silent treatment and seemed annoyed. Ive met some excellent mechanics at this dealership. I wasnt impressed by the diagnostic ability of the two I had which would have certainly cost me over $1000 in unnecessary cost. If I hadnt had mechanical knowledge, I would never have known the difference. I also didnt appreciate being treated as an annoyance when I was the one that had been inconvenienced and potentially fleeced of an unnecessary second brake job. Thank you for the great service team Surrey! I went to the dealership when I had a recent vehicle accident, and I was very stressed out. Ann was the first person I dealt with and she was fantastic, very understanding and empathetic. She made sure I had a loaner car right away, she took the extra time to help me locate my car on the lot and to have a look at the damage. Her great sense of humor really helped out in a stressful situation. Paul in the body shop was very great to deal with as we tried to figure out the issues with the vehicle. Turns out I decided that it wasnt worth it to fix the car. A day or so later I was looking on the website and saw a vehicle I was interested in. I went to the lot and I met Mustafa, He was super friendly and he was very responsive to my story. We went for a test drive and I decided I wanted the vehicle but it was a bit over my budget. I didnt feel like bargaining so I just told him what I could afford and he worked out the deal with me at my price, no pressure! There was a dent and scrape on the front corner of the vehicle (quite noticeable), and I was fine with that considering I got the price I wanted. We closed the deal and I left the lot and planned to pick up the car the next day. Mustafa called me and told me that the GM has decided that they were not going to let the car off the lot with the damage, and they were going to fix it for me at their expense. I was actually blown away as I did not expect this at all :). I am very very happy with everything that happened during the week it took me to sort all this out. A huge thanks to, Ann, Paul, Moe, the GM (sorry I forgot his name) and even the lovely girl who helped me with my ICBC insurance, and especially to Mustafa to whom I will refer anyone I know who is looking for a vehicle. Thank you all!